U.S. AIR FORCE ACADEMY, Colo. — The commander of U.S. Strategic Command said Aug. 10 that space research at the Air Force Academy benefits the Department of Defense and the nation. Speaking at the Academy’s Space Systems Research Center during his visit, Gen. John Hyten encouraged cadets and faculty to continue to view space as a professional enterprise. 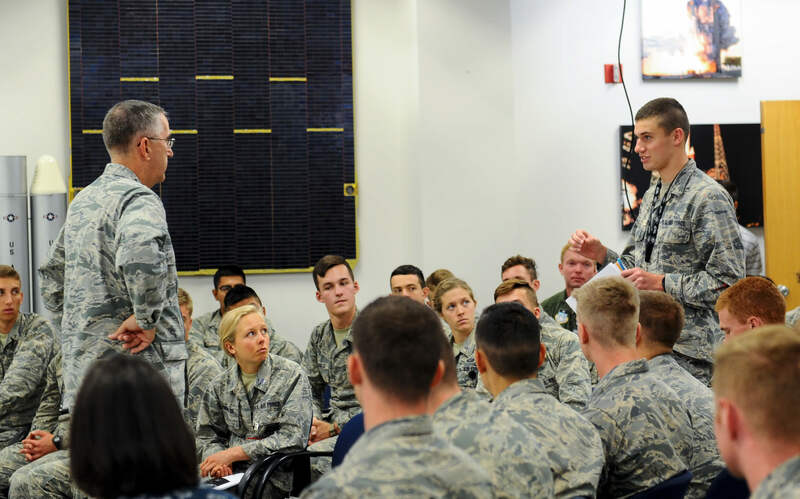 At the research center, cadets updated the general on FalconSAT, the Academy’s small satellite engineering program that conducts space missions for the Air Force. At the SSRC, cadets build, test and operate satellites funded by Academy industry partners.